The first comprehensive account that proves that James Comey threw the 2016 election to Donald Trump. “Compelling criticism…lapsed Trump supporters might well open their minds to this attorney’s scholarly, entirely convincing proof of the damage done” (Kirkus Reviews, starred review). During the week of October 24, 2016, Hillary Clinton was decisively ahead of Donald Trump in most polls. Then FBI Director James Comey sent his infamous letter to Congress on October 28, saying the bureau was investigating additional emails, potentially relevant to the Hillary Clinton email case. 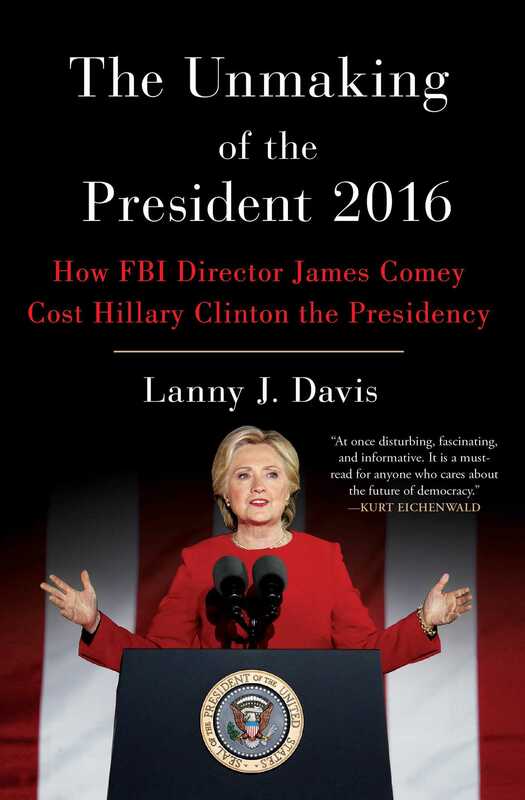 In The Unmaking of the President 2016, attorney Lanny J. Davis shows how Comey’s misguided announcement—just eleven days before the election—swung a significant number of voters away from Clinton, winning Trump an Electoral College victory—and the presidency. Drawing on sources in the intelligence community and Justice Department, Davis challenges Comey's legal rationale for opening a criminal investigation of Clinton's email practices, questions whether Comey received sufficient Justice Department oversight, and cites the odd clairvoyance of Trump ally Rudolph Giuliani, who publicly predicted an "October surprise." Davis proves state by state, using authoritative polling data, how voter support for Clinton dropped after the Comey letter was made public, especially in key battleground states. Despite so many other issues in the election—Trump’s behavior, the Russian hacking, Clinton's campaign missteps—after the October 28 Comey letter, everything changed. Now Davis proves with raw, indisputable data how Comey’s October letter cost Hillary Clinton the presidency and America turned the course of history in the blink of an eye. Any discussion of why Hillary Clinton decided to use a private server for her emails and why the revelation of that fact contributed to her 2016 Election Day loss must begin with a political truth about her: Despite the millions of voters who revere her, she has long been the target of hatred, criticism, and misinformation. In her more than thirty-five years of public life—beginning as the spouse of a six-term governor in 1978, her experience as first lady in the White House over two terms of Bill Clinton’s presidency, then as a senator from New York, as a presidential candidate in 2008, and as secretary of state before her 2016 campaign—she has learned to be cautious when dealing with the media. No one in public political life, especially Hillary Clinton, would claim that tough treatment by the media doesn’t go with the territory. There has been legitimate criticism that Clinton and her 2016 campaign staff were not sufficiently prepared to deal with the emails story. But one way to understand her behavior is to put it in the context of what she had learned years earlier in dealing with a generally critical media. There are many episodes from Clinton’s public life that offer insight into her and her campaign’s initial instincts in dealing with the email server story, but several stand out. It was also inaccurate. The partner of the Clintons referred to, James McDougal, was not an S&L operator in 1978, when they made a real estate investment with him and his wife, Susan (he became an S&L operator only years later). In any case, the entire story was as simple as this: Mr. and Mrs. McDougal approached the Clintons in 1978 about purchasing about two hundred acres of land in the picturesque Ozark Mountains in northwest Arkansas, alongside the White River, to subdivide the land and build and sell vacation homes. Hillary Clinton took the lead in paperwork, financial decisions, and trying to keep up with the details. Just as the Clintons and McDougals together borrowed $200,000 for what was called the Whitewater Development Corporation, interest rates hit 20 percent and the vacation-home-buying market dried up. Their investment failed. Years later, the only offense ever shown by Hillary and Bill Clinton regarding their Whitewater activities was their taking a $4,000 personal tax deduction for interest instead of a deduction for their corporation. They ended up repaying the IRS, plus interest, for the value of that deduction. That was the entire Whitewater story—and it didn’t change very much over the years. But because it was a front-page story in the Times, a lot of journalists, as is their custom, figured there must be more there than met the eye. And off they went. The sordid details of all the other branches and sub-branches of the bogus “scandal” called Whitewater are not relevant here. But reading over the headlines in the 1990s involving Whitewater, often on the front pages of the nation’s three major newspapers—the New York Times, the Washington Post, and the Wall Street Journal—as well as the breathless reporting every night on the major TV news programs—leaves even an objective observer with the inevitable takeaway: What was that all about? Where was the beef? And through it all, Hillary Clinton received most of the blame, especially for putting her apparently uninvolved husband at great risk, even imperiling his presidency. But blame for what? After seven years of investigation by Republicans in Congress and two independent counsels, $60 million of taxpayer funds, thousands of inflammatory headlines, Senate and House televised hearings and investigations, including a Senate special committee on Whitewater, which involved 300 hours of hearings and more than 60 sessions over 13 months and 10,000 pages of testimony and 35,000 pages of depositions from almost 250 people—at the end of the day, what was the verdict on Bill and Hillary Clinton and Whitewater? Nothing. The final report of the last independent counsel, Robert Ray (who succeeded Kenneth Starr), in 2000, stated that there was “insufficient evidence” to bring any charges against Bill or Hillary Clinton regarding Whitewater. So what lessons did Hillary Clinton learn during Whitewater about dealing with a mainstream media driven by or acting in parallel with a right-wing Republican complex feeding on and reinforcing each other? Two important moments stand out about how to handle the media when the facts get lost in the hurricane-force winds of reporters smelling controversy and scandal, even when there are no facts to support any charge of illegal conduct. First, on April 22, 1994, after Hillary Clinton became the focal point of media interest and innuendo about “wrongdoing” in Whitewater, she took the advice of all her political and media advisers to follow the classic crisis management strategy: Get out in front and be 100 percent accessible and answer all questions. She sat in an armchair under a portrait of Abraham Lincoln in the State Dining Room of the White House. For more than an hour, on live television, wearing a pink jacket (and thus known thereafter as the “pink press conference”), she answered all questions—constructive, mean-spirited, and everything in between. Facts, facts, facts. That is all she did. So during Whitewater she took the political crisis management advice and thought she had succeeded. And what happened? Nothing. That’s right, nothing changed. Indeed, the coverage on Whitewater and the focus on her as the evildoer and potential criminal cover-up artist got worse. It got so bad that, two years later, for the first time in U.S. history, a first lady was called before a grand jury to testify. Not only called but in fact forced by what seemed to be an overzealous group of Whitewater prosecutors to do the public “perp walk” that prosecutors like to put prominent Wall Street investment bankers through when they are arrested and handcuffed, with TV cameras and the media prompted to come and record the walk for ultimate humiliation. It didn’t matter that Hillary Clinton was the nation’s first lady, and she should have been given greater courtesy, if only out of respect for the office of the presidency. So perhaps it was logical for her to conclude that no matter how she “handled” a controversial media story about anything she did, including admitting an honest mistake, once there was any hint of “scandal,” however unfounded, perhaps feeding the “beast” of the media horde would only make matters worse. Then came her 2007–2008 presidential campaign. It was expected that as the front-runner and overwhelming consensus candidate to win the Democratic nomination and then the presidency, Clinton would be the target of the toughest and most critical media coverage. But in this instance, the piling on of any Hillary Clinton mistake was so egregious, so obviously a gang-up by both the media and all the other candidates, especially during the televised debates, that it was beyond anything experienced by other (male) front-runners. That thrill-going-up-my-leg moment—and not to blame Matthews, whose emotional and political attraction to the truly inspirational Barack Obama was genuine—was a symbol of what Hillary Clinton had grown accustomed to from those covering the campaign. If she made a simple slip or error, everyone jumped all over her, virtually the entire press corps, talking heads, and most political reporters. But when it came to judging her compared to Barack Obama, the effort was hopeless—although it must be said that in Obama, she was running against an orator and inspirational figure who was truly the political phenomenon of our time. But it’s hard to imagine any human not becoming somewhat defensive and restrained in the face of such a combination of intense media hostility and the magical positive media that Barack Obama so often received (and deservedly so) during that campaign. So from her days as spouse of a governor, to her days as first lady, to her days as a presidential candidate in 2008, and all the days in between, Hillary Clinton knew that she was always going to be the object of negative media because that is the way it was, and she had better get used to it. The only two exceptions to that rule were when she served in the Senate, where she was one of the most popular Democratic senators—among Republican as well as Democratic colleagues (West Virginia Democratic senator Robert Byrd referred to her as “a workhorse, not a show horse”); and when she served as Obama’s secretary of state, when her popularity ratings soared into the 60s and 70s, with relatively high approval ratings even among grassroots Republicans. In both of these jobs, hard work and facts were more important than perceptions and caricatures created by a cynical media, fed by partisan right-wing haters. So this is the life experience in public service that shaped Hillary Clinton’s judgment of how to handle a negative press story that had the potential to spread into scandal mania: Be cautious and assume that “feeding the beast” might turn what would otherwise be a passing controversy into a negative story that never goes away. With all this in mind, we turn to the question of Clinton’s emails while she was secretary of state. The story begins with a plain fact: Hillary Clinton loved her BlackBerry. She used it to stay in touch with the thousands of friends to whom she had remained close since grade school, high school, college, law school, and all the public service and political years as first lady of Arkansas and of the United States, and as a senator. Her friends grew accustomed to shooting her quick personal notes, passing along jokes, and commenting on serious issues, receiving amazingly prompt and often funny or interesting or erudite responses, often within a matter of minutes or hours, no matter how busy she was. There may have been an evening in December 2008 or January 2009, after Hillary Clinton had been named by President-elect Barack Obama to be his secretary of state, that she and some senior aides discussed whether it mattered if she used one BlackBerry as she always had to communicate with her friends while also communicating as secretary of state, or whether she needed to carry one for personal messages and another for official State Department business. Like almost every other member of Congress, she had come to rely for convenience on a single BlackBerry rather than two. She was well aware that everything she did would be leaked if her right-wing adversaries and haters had a chance; even her most personal and private messages would appear not just on the front pages of tabloids but maybe also on the front page of the New York Times. Thus she decided to use a private email address and her husband’s private server at their home in Chappaqua, New York. It was physically protected by the former president’s ongoing Secret Service detail and had been established with multiple security systems to prevent hacking. She knew that all of her official business emails from or to members of the State Department had to be preserved as official documents under the law and all would also be recoverable under Freedom of Information Act requests since the State Department sender or receiver had the state.gov email address. She and her advisers might not have realized the significance of using two BlackBerrys to differentiate official from personal messages. They all should have known that when it came to official messages appropriately marked with some level of classification, it didn’t matter what the email address was or whom it was to or from; it had to be communicated through a secure communications channel. 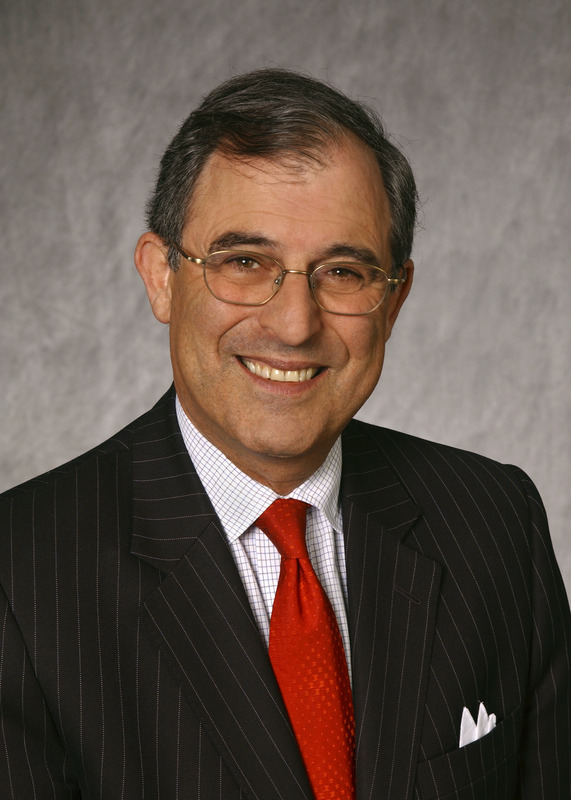 It didn’t matter because if the email was designated as classified as the classification manual required—in a conspicuous header that could not be missed, with the specific level of classification stated—then it had to be sent through special secure channels from a special secure device in a Sensitive Compartmented Information Facility, a special room that was impervious to interception or hacking. That was a given. So in a discussion about using a private email address from her BlackBerry and housing those messages on a private server, the reaction by Hillary Clinton and her advisers just might have been: no reaction. It just didn’t seem at the time to be a big deal. One BlackBerry was fine. Better. More credible. More convenient. That must have been everyone’s good-faith conclusion. So, hypothetically, shortly after she was sworn in as secretary, just suppose high in the air en route to someplace far away, let’s say fifty thousand feet over Afghanistan on her way to Japan, in the middle of the night for her but perhaps while her husband and family and friends back home were just waking up, she received an urgent email message on her BlackBerry asking her a question that she believed could best be answered by someone else at State on the 24/7 desk for that particular region of the world about which the question was asked. What did she do? Perhaps she just hit Send and forwarded it to the desk officer. She must not have thought anything about it being risky or illegal—because it was neither. There was no classified designation on the email, for it had been sent through unsecure channels by a State Department official who knew the difference between classified and unclassified, and she knew it would be preserved in two places—on her own private server in her home and on the state.gov server. Still, Clinton and some of her senior aides must have wondered whether there was any precedent for using a private email system on another server outside the State Department address and server. After all, emails had become common and BlackBerrys were ubiquitous, and commercial email systems, such as AOL and CompuServe, were widely used back then. So they might have wondered whether other secretaries of state had made the same choice to use a single personal device outside the official communication system for emails not marked classified—for the same two reasons: convenience and privacy. Several months later, they learned the answer. Yes, there was a precedent for using an outside private server, not the State Department server: former secretary of state General Colin Powell. At a dinner party several months after she became secretary, Clinton heard General Powell describe his own system when he was secretary from 2001 to 2004, similar to what she had decided to do several months before. He decided on using a desktop personal computer to send both personal and official business emails through a system outside the State Department server. He used AOL’s email system and its private server. At the turn of the twenty-first century, the BlackBerry was still in rudimentary form. Powell reminded Clinton that his reasons would be true for her too—to preserve privacy. Being Hillary Clinton, there was a real possibility that her personal emails would end up all over the Internet. He figured the emails he sent to State Department officials on the state.gov server would be preserved for posterity, as the law required, and those regarding State Department matters could be retrieved from AOL’s server. Of course, Powell said, when the emails were labeled classified, he used classified, secure channels. And that is what Hillary Clinton did as well. In any event, General Powell’s comments at the dinner party confirmed for Clinton that it was okay to continue to use a single device to send her official and personal emails and to store them on a private server. Like Secretary Powell, she saw no serious security risks doing so for emails that were not marked as classified. So Clinton used her BlackBerry, never suspecting what was to happen as a result.